UPDATED RANCHER IN THE DESIRABLE MISSION ESTATES DEVELOPMENT!! This 2 bed, 2 bath unit has been meticulously cared for and features a gas fireplace, skylights, an oversized DOUBLE GARAGE with workshop area and a private covered patio!! 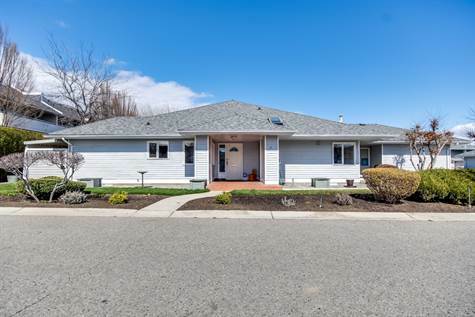 The home has been tastefully updated with all new flooring, paint, furnace, A/C, hot water tank, appliances and the poly B plumbing has been replaced. The location is spectacular, walking distance to shopping, medical offices and close to all other amenities. Absolutely no work required, simply move in an enjoy this spotless home.